@adamlambert what's that "huge ballad" on the album? Can you tell us the name of it? @tatyana27121986 There I Said It is the huge ballad! "It's a relationship song, for sure," Tove Lo said. The 'Habits' star added that the track is about "the struggle of being with someone who doesn't really trust you". "[Adam's] probably the first guy that I've successfully written something for," Tove Lo said, speaking about her tendency to write for female artists. @cristina_gmaij @drbrianmay it IS great!! Brian's riffs w a big giant hip hop beat. 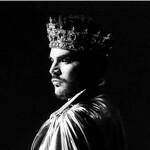 @adamlambert I love you so much Adam,, can you talk about your song "heavy fire"?